Get Rebates on New Insulation Through the Green Ontario Fund | DR Foam Insulation Services Ltd. Get Rebates on New Insulation Through the Green Ontario Fund | DR Foam Insulation Services Ltd.
New insulation can protect your home from the outside elements, help you maintain a consistent temperature throughout each room, and help you cut back on your heating and cooling costs while reducing your carbon footprint. Through the Ontario Green Fund’s GreenON rebate program, you have the option to have new installation installed in your home at a discounted price. Not only will you save money by applying for insulation rebates through the GreenON program, but you will also see a return on your investment for years and years to come. The GreenON rebate program makes upgrading your home with new insulation easy. Start by selecting a participating contractor to purchase and install the insulation. Once the project is complete, your contract will submit a rebate application on your behalf. After the work is validated, the only thing you need to do is submit proof of purchase. In approximately 8-12 weeks, you will receive your rebate cheque in the mail. 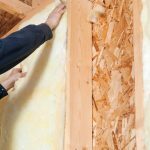 At DR Foam Insulation Services Ltd., we are a participating contractor in the GreenON rebates program, and we would be happy to outfit your home with new insulation. For further information, please contact us today!